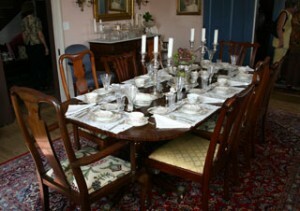 The spacious dining room and intimate breakfast nook invite you to relax and enjoy a wonderful country farm breakfast. Your hosts graciously consider special dietary needs. 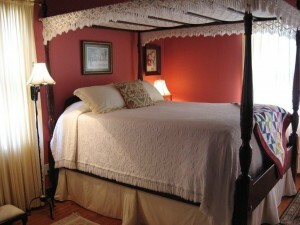 The Inn offers “Benjamin and Smithy’s Room” upstairs with a Queen bed and private bath featuring early American charm. The sitting area includes a game table and working fireplace. 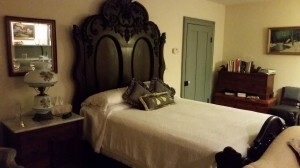 A rollaway bed can be included in the room for an additional fee. The Center Hall upstairs renders a place of quiet and meditation or reading. Guests may lounge and simply enjoy the view. The south portico reflects a simpler time with warm breezes and fresh country air. The charming Carriage House includes a kitchen with refrigerator, ice maker, microwave, stove, oven, coffee and coffee maker, private bath, outdoor grills, patio and covered eating area for your use. 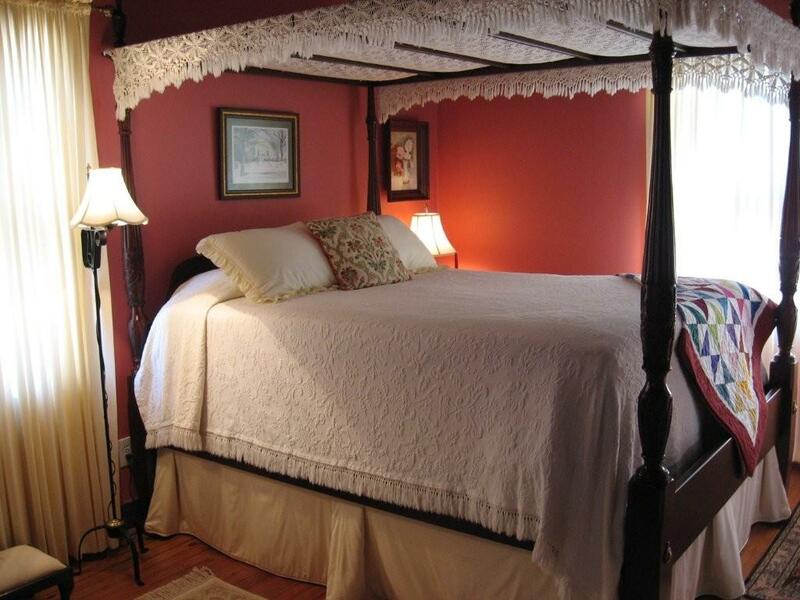 This private cottage features a tester queen bed, or may sleep six with trundle, single bed, and sleeper sofa. 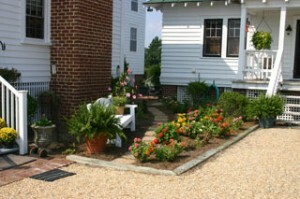 We can plan, host or serve special dinners, cooking classes, cook-outs and events during your stay. 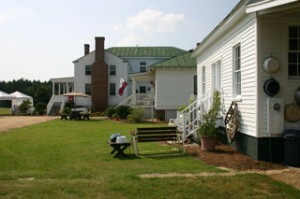 Guests may also participate in hands-on activities such as grilling, picnicking, soccer, croquet, etc. 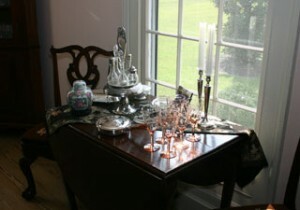 The owners, Ossie and Mary Betty Kearney are available for information offerings in the area such as fine dining experiences, festivals, plays, and antique auctions and sales. Ask us about our Nooherooka Natural Black Angus beef and heritage pork. Our pasture-raised meat features special considerations for handling and offers absolutely no use of hormones or antibiotics. 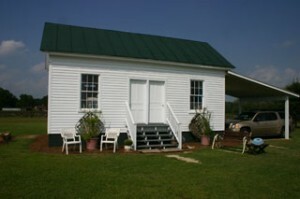 Visit our General Store on the farm for purchases.